The highest quality products available! At Serv-a-Dock, we carry only the highest quality dock systems on the market. 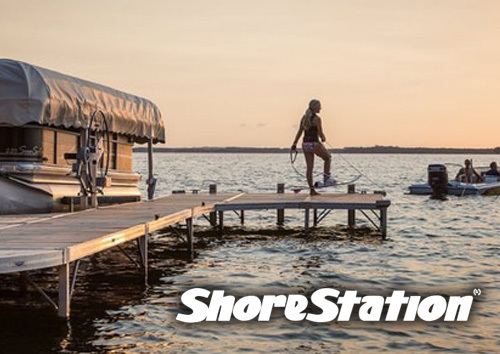 Create your perfect waters edge experience with products available from the best names in the market – including ShoreStation, Niccum Docks, Wave Armor, Lift Tech Marine, and more! Click through the our product links to find out more about the products we provide to our customers to create a custom solution for your waterfront. “I have been a customer for over 28 years and have had a great on-going relationship! Paul is a ‘hands on’ representative for Serv-a-Dock and has been at my house every Spring for my dock and electric boat lift installation and then every Fall for their removal.